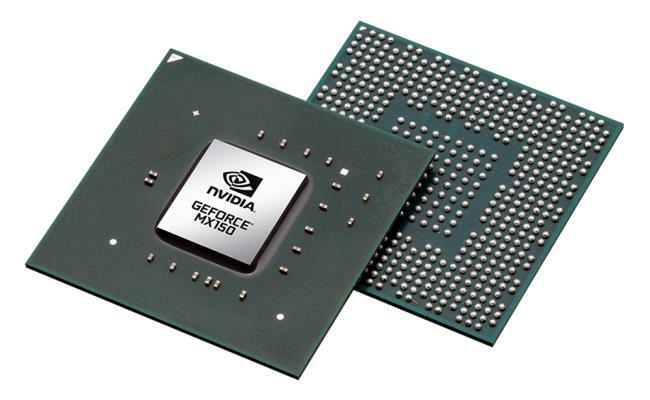 The Nvidia GeForce MX150 is a budget-class dedicated video card for laptops. Yes, it is an entry-level graphics card. But, it’s still much better than the Intel HD-series integrated graphics on which most notebooks rely on. Here are some real-world MX150 gameplays provided by the YouTube community. Please keep in mind that performance may vary depending on a laptop configuration. Especially given that some manufacturers use an under-powered MX150 version in select (thin and light) laptops for improved thermal characteristics and battery life. 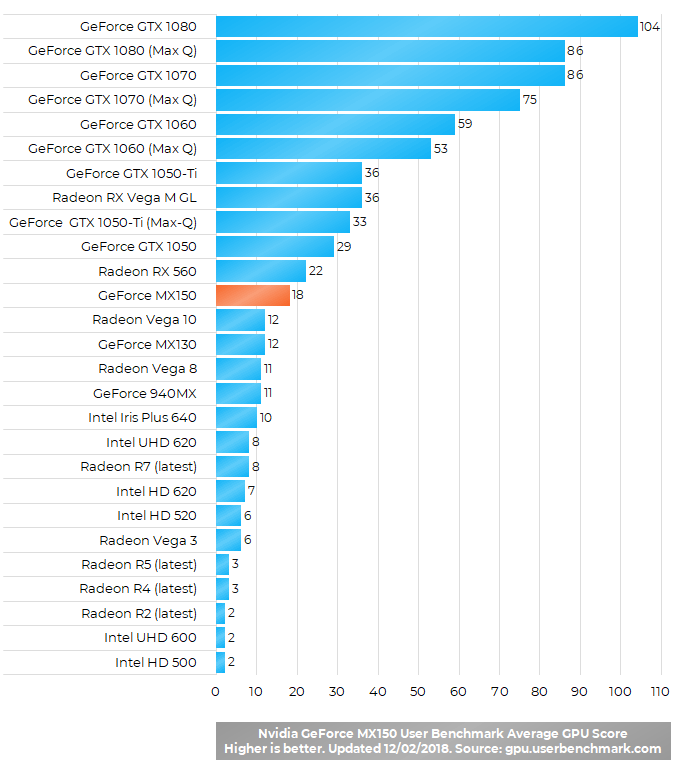 On the other hand, MX150 models with 4GB of video memory will have better performance in some gaming scenarios than those with 2GB. But, most MX150 cards are with 2GB of video memory. Besides that, gaming performance generally depends on used a processor and available RAM memory size. 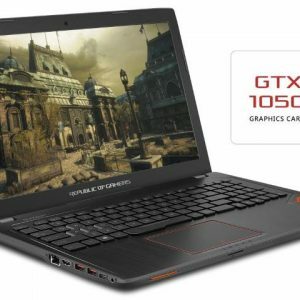 In short, the GeForce MX150 (the standard and more widely used version) is perfect for popular MMORPG titles like League of Legends or Dota 2. 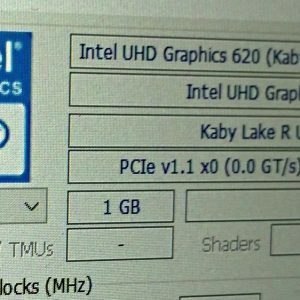 You can easily max out graphics settings and still have very smooth gameplays of around 100 frames per seconds or more. Also, older third person shooters like Counter Strike : GO work very well. CS:GO can run at around 100 fps on medium-to-high settings and Full HD resolution. Of course, the card struggles in newer demanding games on the highest detail quality and resolutions. But, it can play them reasonably well when you dial settings down. For instance, GTA 5 runs at around 30 fps on medium-high settings and Full HD and there’s enough room for reducing graphics quality in favor of fps smoothness. If you’re not satisfied with shown performance of the MX150, you can take a look at more powerful cards. For instance, the Nvidia GeForce GTX 1050 or 1050 Ti are noticeably faster, without making laptops with it too expensive. 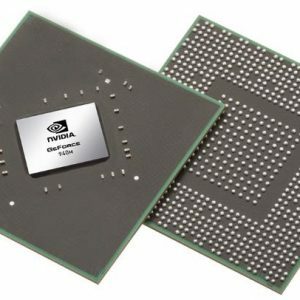 Which version of Nvidia MX150 Chip does Inspiron 15 7572 Laptop with 4 GB graphic memory have? 25 W or 10 W?